EFT is clinically proven to lower stress, anxiety, tension, depression, physical tension, fears, limitations and blocks. During the 3 days EFT Training (EFT Level 1 & 2) you will how learn to the heart of an issue to create health, vitality and confidence. 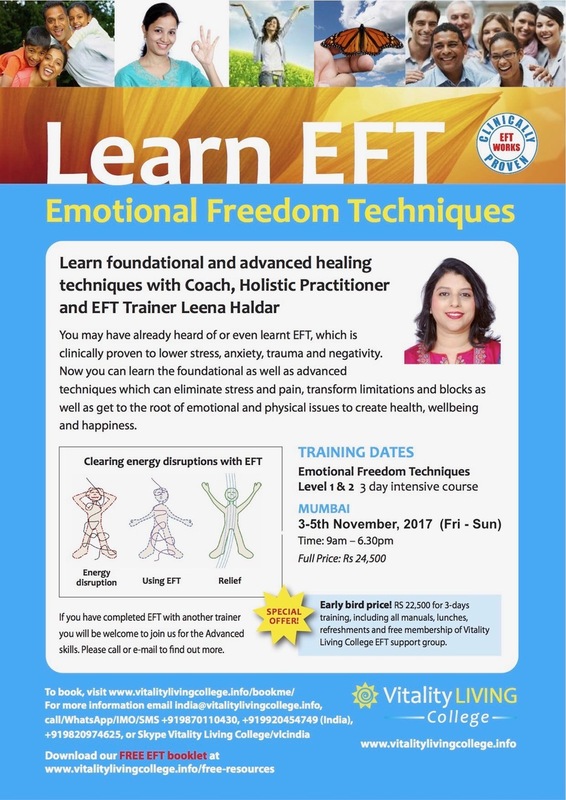 The EFT training seminar will be provided by Vitality Living college accredited Trainer Leena Haldar. International workshop leader, Leena Haldar is co-founder of Rainbow Lightworkers. She is an EFT Trainer with Vitality Living College and a Heal your Life Workshop Leader. She was shocked when she was diagnosed with a serious illness in 2014. The wake-up" call propelled Leena to learn different energy healing methods, which enabled her to breeze through the medical treatments. On healing, people started noticing an empowered Leena and she started organically helping others in their own life transformation and to "follow their bliss." "Leena effortlessly combines compassion with patience and a structured approach with flexibility." Says Dr Rangana Rupavi Choudhuri, founder of Vitality Living College. 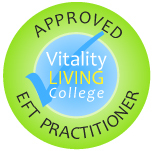 To learn about these experiences and how attending EFT training with Vitality Living College has helped past delegates overcome their fears, transform and regain their health please visit EFT Reviews. Learn what thought leaders like Deepak Chopra, Bruce Lipton & Wayne Dyer feel about EFT and the reason it is regarded as such a powerful technique. EFT Level 1 Training, based on the syllabus for Global Certification. We will teach how to use EFT can be used lower stress, release negative memories, shift emotions, eliminate physical pain/tension and reduce cravings. EFT Level 2 Training for personal development or to become a Practitioner as per syllabus for Global Certification. 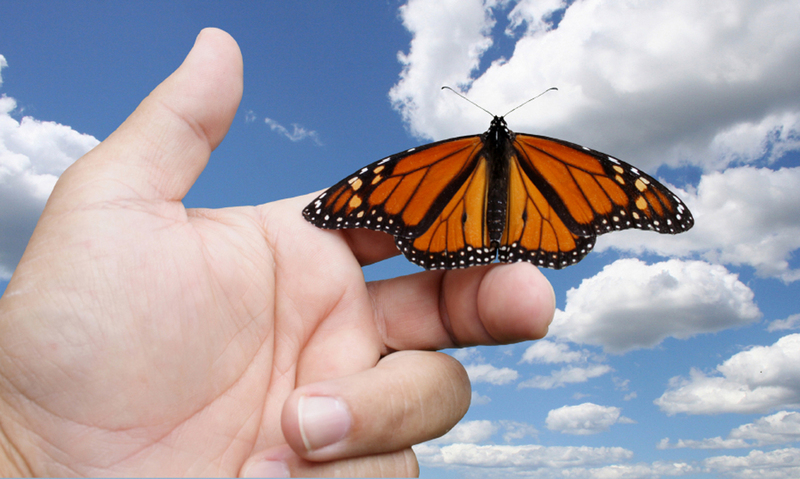 Ideal for those who have completed EFT Level 1 and would like to become a Practitioner or use EFT as part of a self-development program. For more information on certification go to EFT Certification. On successful completion of the 3 days, multiple choice test, case studies and commitment to an on-going program of continuing professional development Globally Approved Practitioner certificate is awarded. For more information on case study requirements and certification go to EFT Certification. Special package offer: The 3 day intensive package is for only Rs 24,500. We have an early bird discount of Rs 22,500. For direction go to Google maps.